ANALYSTS acknowledged another strong production performance from Anglo American in the fourth quarter of its 2018 financial year, published today. Apart from the odd blips – lower iron ore production quarter-on-quarter at Kumba Iron Ore and lower realised pricing on some commodities – the group provided further evidence for its share price outperformance through most of last year. 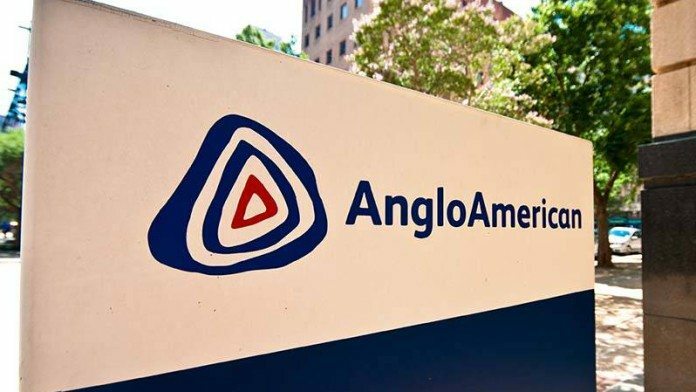 “The lower realised pricing will likely temper some of the positives from the better production, however our key takeaway remains the solid operating numbers that Anglo has been generating through 2018 which we would expect to continue into 2019,” said Tyler Broda, an analyst for RBC Capital Markets. “While iron-ore was a miss, all other divisions surprised to the upside, with the big beats being at the coal division (both thermal in South Africa and metallurgical coal), diamonds and copper,” said Goldman Sachs analysts in its report. The return to production of Anglo’s Minas Rio, an iron ore mine in Brazil, was another positive. “We ended this successful quarter with the restart of operations at Minas-Rio and receipt of a key approval relating to the important Step 3 licence area that supports its increase in production towards design capacity,” said Mark Cutifani, CEO of Anglo. Production had been suspended since March 2018 following the discovery of two leakages in the 529 kilometre iron ore pipeline from the mine to the Port of Acu. The importance of the licence award at Minas Rio is that it would allow for an increase in production guidance from the facility in Anglo’s 2019 financial year to between 18 and 20 million tonnes (Mt) compared to 16 and 19Mt previously. As a function of the higher output, unit cost guidance was reduced to $28-31 per tonne ($30-33/t). The outlook on Anglo’s iron ore production from this year was typical of uppish sentiment in terms of production elsewhere in the Anglo stable – which was pretty much in line with the December production and guidance update. Anglo’s 79%-owned Anglo American Platinum (Amplats) was an exception, however. It reported a 5% reduction in production guidance for the current financial year to two million to 2.1 million ounces (two to 2.2 million oz) owing to “… the transition of Sibanye material to a tolling arrangement in place of its purchase as concentrate”. This was in terms of an agreement between Amplats and Sibanye-Stillwater when the latter bought Rustenburg Mines from Amplats. Production of high-flying palladium was unchanged, and it was palladium that RBC Capital Markets said was among several differentiators for Anglo American that marked it out as a share price to watch again this year. As a ratio of its earnings before tax, interest, depreciation and amortisation to its enterprise value (the group’s entire market value including debt minus cash), there were further gains likely for Anglo’s share price owing to its commodity diversification and growth potential from Collahuasi, its copper mine in Chile. “Anglo continues to be our top-pick,” said Goldman Sachs which referred to the group’s “… strong earnings’ momentum, attractive commodity mix, and strong balance sheet despite investment”. Between the start of 2018 and the end of May Anglo was up 24% against its peers which were up an average 15%, said Goldman Sachs. “Towards the start of the second half, sentiment towards global growth worsened which saw commodities/miners underperform. However, Anglo – which typically underperforms in a bearish commodity scenario outperformed – between end of May and 2018 end, Anglo was down 9% vs. peers down 14%,” it said.